Donald A. Levy joined the firm in 1960. He focuses his practice on family law and also practices extensively in the fields of real estate and business law. Attorney Levy received his undergraduate degree from the University of Wisconsin in 1955. He is a 1960 graduate of Marquette University Law School. He is admitted to practice in the circuit and appellate courts of Wisconsin, as well as the Federal District Court of the Eastern District of Wisconsin. Recognition and awards have marked Attorney Levy's career. He was first listed in America's Best Lawyers in 1987 and has been listed therein every year to date. He was honored by Milwaukee Magazine as one of the metro area's best family lawyers. He has lectured on family law topics before state and local bar associations, is a fellow and past president of the Wisconsin Chapter of the American Academy of Matrimonial Lawyers, and has a membership in the Leander J. Foley, Jr. Matrimonial Inn, AIC as an Emeritus Master. In addition to being one of Wisconsin's leading family law attorneys, Attorney Levy has devoted innumerable hours to his community. In 1981 he formed and serves as president of the Cedarburg Landmark Preservation Society, which spared Cedarburg's historic Grist Mill (1855) from destruction. The Mill now takes center stage in the historic downtown district, along with Turner Hall (1865). He is a member of the board of directors for the Cedarburg Performing Arts Center. His ongoing efforts within the community won him the Greater Milwaukee Foundation's Frank Kirkpatrick Award (2002) which honors individuals who enrich the lives of Milwaukee-area residents through physical development. 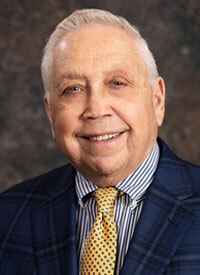 Attorney Levy currently serves as the chairman of the St. Mary's Ozaukee Hospital Foundation and is a member of the Marquette University Law School Deans Advisory Board.